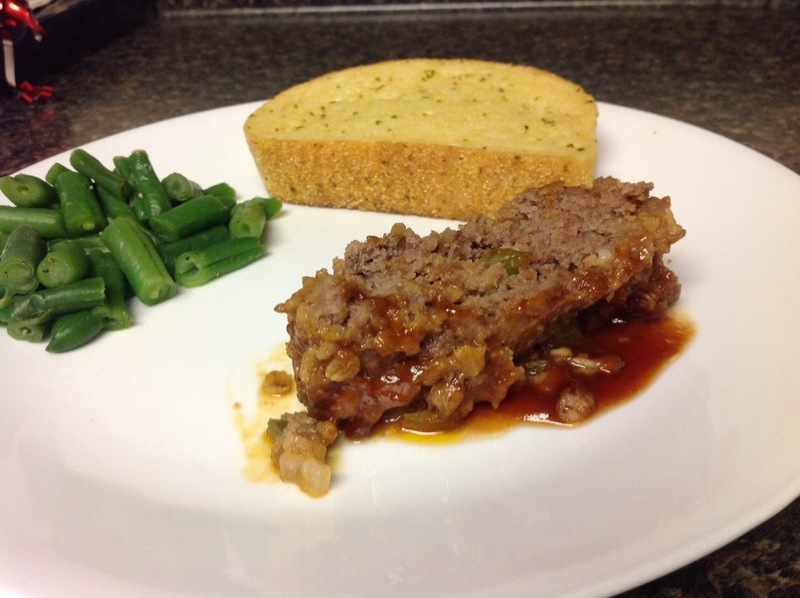 Home » beef » Magical Meatloaf! Oh meatloaf, I feel like meatloaf is one of those things that is always just ok. I’d never had one that I was super impressed with, they always were just a bit dry and boring. Well, I’m so pleased to report that I no longer feel like meatloaf is just “ok”! This recipe was wonderful, and I really liked the sauce on top. It had oats in the mixture which was also interesting to me and gave it a really nice texture. Preheat the oven to 350F. Spray a loaf pan with nonstick cooking spray and set aside. In a medium sized bowl, combine the ground beef, onion, bell pepper, bred crumbs, oats, egg, ketchup, garlic, salt, and pepper. Place in the refrigerator while you make the sauce. Combine all the ingredients in a small saucepan. 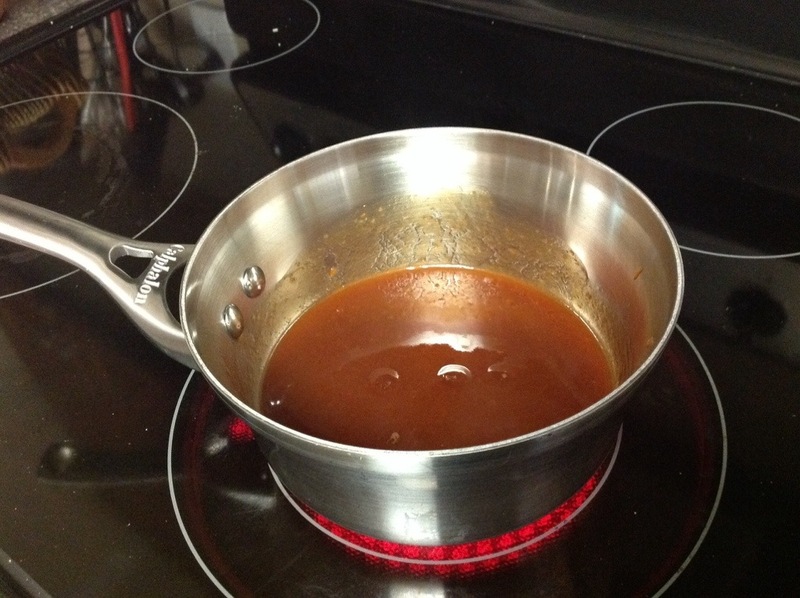 Bring the sauce to a boil, once boiling turn the heat down to simmer, and let cook for 5 minutes. Remove the meatloaf from the fridge and top with half of the sauce. 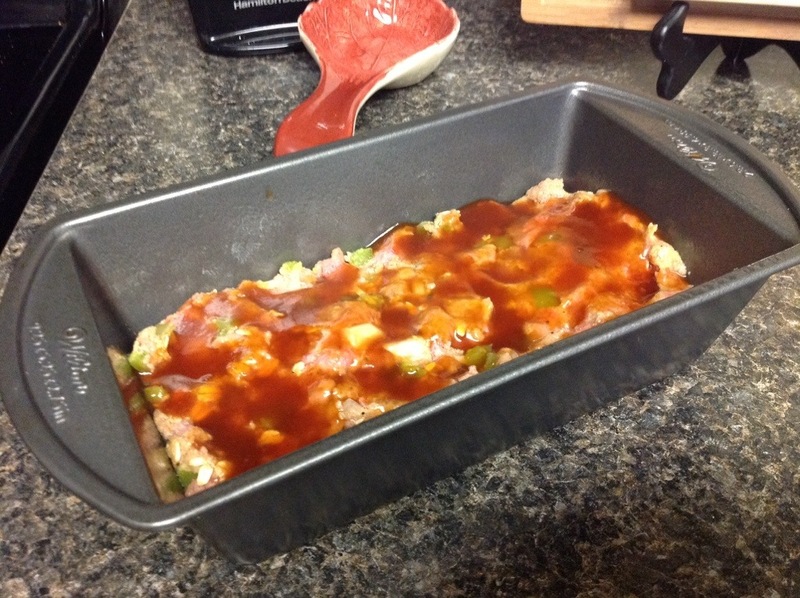 Place the meatloaf in the oven and cook for 35 minutes, remove from the oven and top with the remaining sauce. Cook for another 5 minutes, after the 5 minutes is up check the internal temperature of the meatloaf. The temperature needs to be 170F. You don’t want to overlook the meatloaf, or it will dry it out. Take it out once it reaches temperature and allow to cool. I drained off some of the excess grease when I took it out of the oven also. Serve with traditional mashed potatoes and peas. Tonight I did garlic bread and green beans because I need to go shopping tomorrow and am running low on the staples! Enjoy! 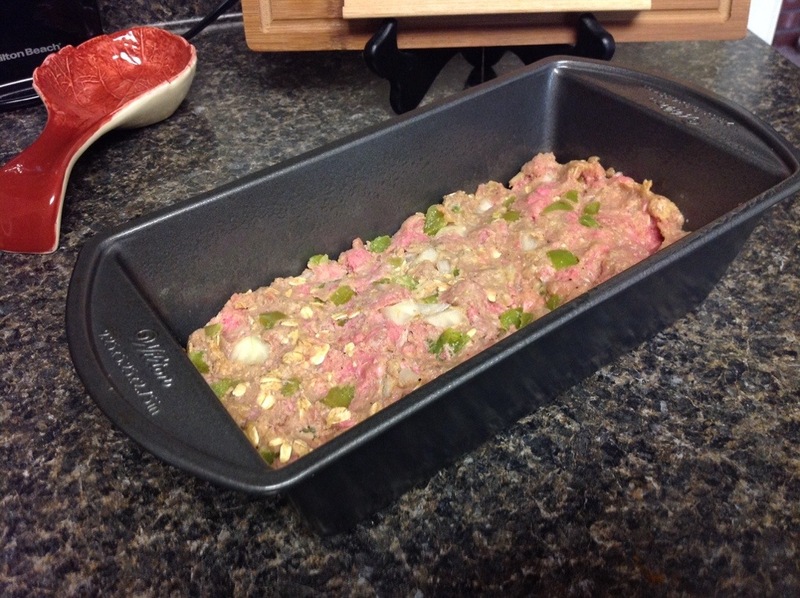 I hope this meatloaf turns you into a meatloaf lover! This entry was posted in beef, main course. Bookmark the permalink.